Working with the "Right REALTOR®" is important to You. ... and it could be one of the Most Important Relationships of Your Life. 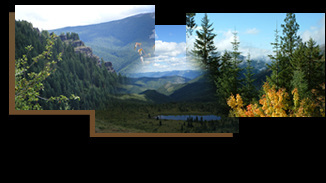 Serving Idaho as Ridge River Realty, LLC. Whether you are buying or selling it is important to know that Your REALTOR® is working to help 'You'. I value our working partnership and as your REALTOR® I will connect you to a vast network of resources, continually monitor the market, provide professional marketing tools, and remain educated on the conditions that affect your real estate transaction. ... and as your REALTOR® I will keep you informed. It's my job to regularly provide updates and I am always accessible to my clients by email, by cell or phone, or just stop into the office. You can rely on me to return your calls as well. ... I have access to all the internet marketing tools and key resources. You'll be connected - because I am a dues paying member of the Multiple Listing Service, the National Association of REALTORS®, Idaho Association of REALTORS®, Board of REALTORS®, area Chambers of Commerce, and Economic Development Groups.